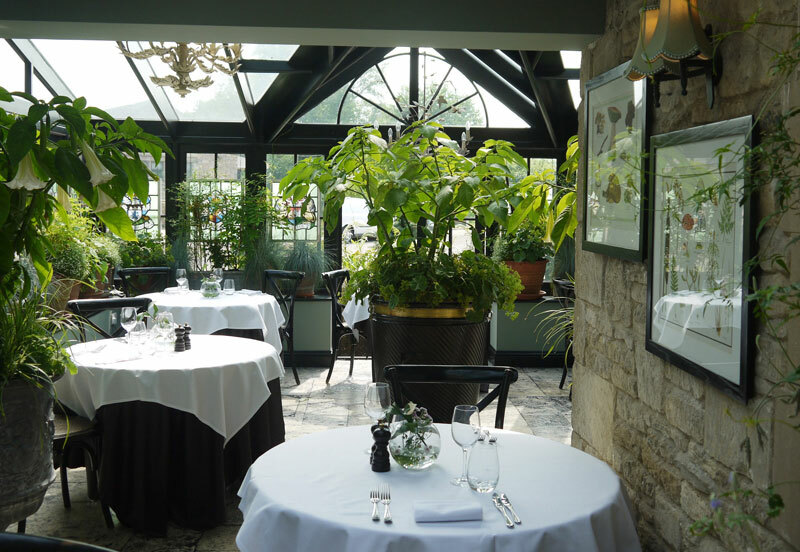 Set amidst the rolling Cotswold Hills on the edge of Shipton Oliffe, Andoversford, the idyllic 17th-Century Frogmill Inn, complete with roaring log fires and original beams, has re-opened after a major refurbishment under the expert stewardship of Marco Pierre White. 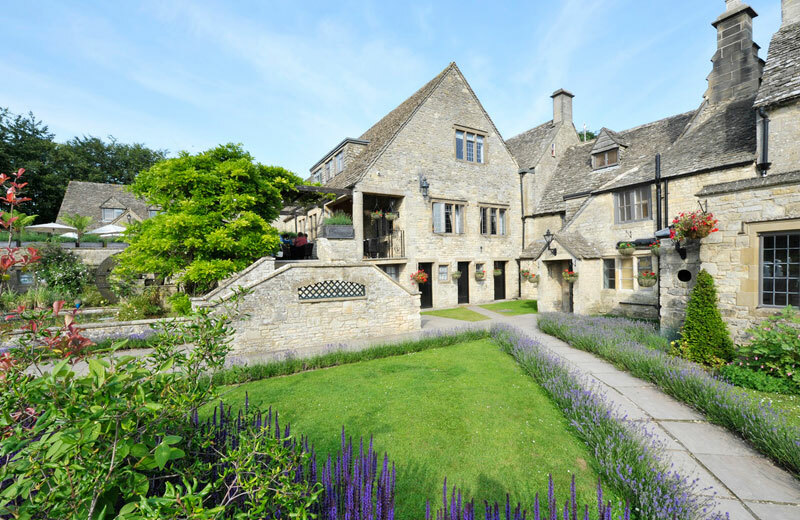 This picture-perfect 28 bedroom hotel, with traditional Cotwold stone and extensive grounds with pear orchards, a river and a watermill, has been sympathetically restored to enhance its original features and offers a variety of eating and drinking areas to suit every occasion. 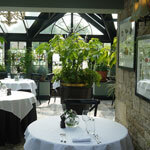 Intimate spaces in the restaurant-bar and pretty conservatory, and open raised terraces with vine canopies for shade, provide the perfect settings for every occasion throughout the year, while the spacious Hall and the Waterwheel Room (both licensed for civil ceremonies) can cater for the most elaborate of weddings and private-dining affairs. Winter wedding specials and occasional last-minute deals, for those couples who just can't wait, are worth considering - do visit the website or call for Wedding Fair details and available dates. 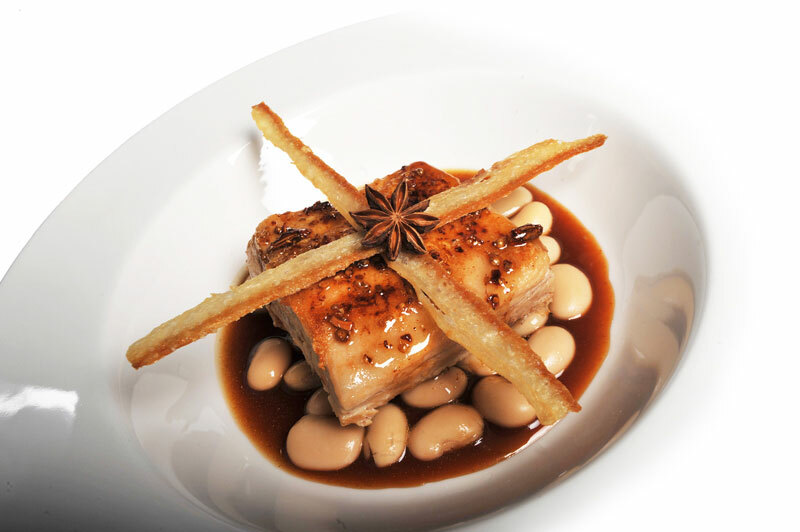 The à la carte menu (subject to seasonal changes) is packed with MPW fresh fish, local game and top-quality meat classics, including the ever-popular glazed honey pork belly Marco Polo, and Wheeler's of St James's fish pie. 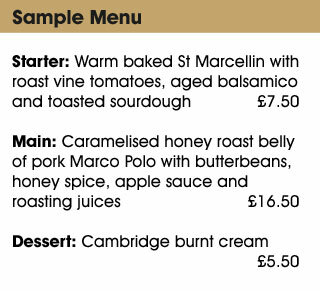 Starters are available from £5.95, mains from £12.50 and scrumptious desserts are priced at £5.50. 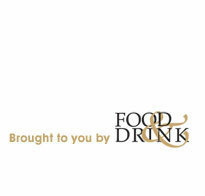 The extraordinary value-for-money bar menu starts at just £5.50 for doorstep sandwiches with a cup of hearty soup, and goes up to £18.50 for half-a-dozen Colchester oysters with a Black Velvet cocktail. A luxury afternoon tea menu is available throughout the year, with prices starting from £5.50 going up to just £14.50 for sandwiches, cakes, scones, tea and Prosecco. Comfortable en-suite rooms are available from £79 on a bed and breakfast basis, which includes a traditional English breakfast fit for a king. Information regarding winter-warmer breaks, Christmas and New Year events and other seasonal offers can also be found on the website.